SANTA MONICA, CA, USA: high-end professional audio equipment manufacturer Antelope Audio is proud to announce (upcoming) availability of its DISCRETE 8 Thunderbolt™ & USB Interface with 8 Discrete Mic Preamps plus accompanying EDGE and VERGE modelling microphones — also available as various bundles bringing a new level of sound quality and power to home studios and mobile recordists alongside a true cutting-edge front end that will usher in a new era for modern recording. Antelope Audio’s DISCRETE 8 Thunderbolt™ & USB Interface with 8 Discrete Mic Preamps comes complete with eight console-grade, six-transistor, fully-discrete design preamps; 121 dB dynamic range conversion; and rock-solid clocking. 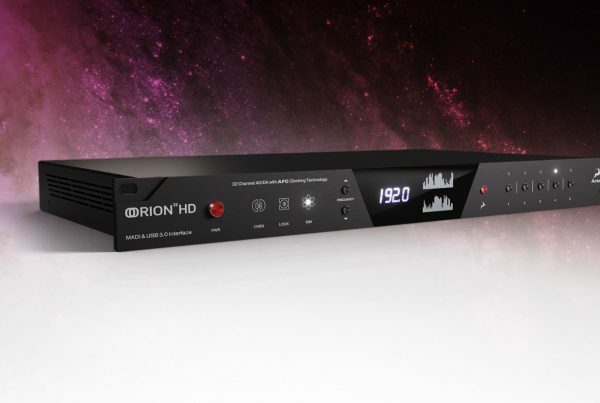 It includes all Antelope Audio’s premier realtime FPGA FX, including authentic models of iconic gear from BAE, Gyraf Audio, LANG, and many more besides. Being based on Antelope Audio’s AFX platform — a rapidly expanding hardware modelling engine — enables DISCRETE 8 to add Accusonic microphone and preamp models (maintaining the advantages of digital control and repeatability of gain levels), guitar amps, transformer and tube effects alongside a huge selection of classic vintage gear to its recording roster. Thanks to Antelope Audio’s all-new ConnectAFX plug-in, all are accessible via any DAW (Digital Audio Workstation) with workflow that just… well, works! 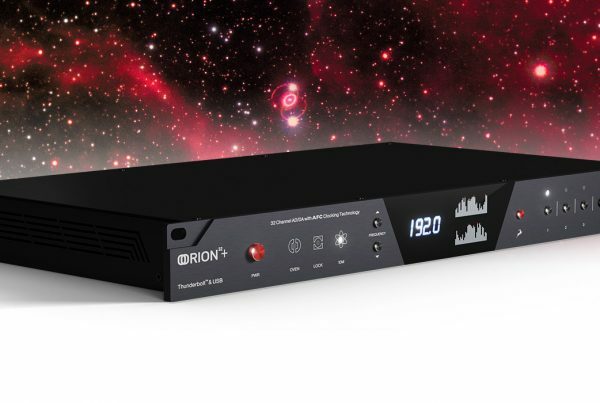 Reality dictates, therefore, that both engineers and performers alike can instantly hear the authentic blends of 10 different mic preamps — without any latency or annoying comb filtering. Fortunately, the microphone source can be recorded with or without Accusonic modelling, allowing engineers to choose between preamp models during mixing. Moreover, the entire signal path was designed for optimal sound with any microphone, yet really shines when working with Antelope Audio’s new EDGE and VERGE modelling microphones, which were both specially designed for DISCRETE 8’s preamps, featuring matching discrete electronics. EDGE and VERGE are both ideally suited, then, to Antelope Audio’s realtime mic preamp modelling. Creatively combined with the company’s already-acclaimed FPGA vintage hardware-based effects encompassing ever-expanding compressors and EQs, these new modelling microphones usher in a new era for modern recording. Rightly named, EDGE features dual edge-terminated capsules for a smooth/natural sound, reproducing the expressiveness and character of costly classic microphones — albeit without excessive expense. Antelope Audio CEO Igor Levin designed groundbreaking fully-discrete electronics especially for the job at hand while hand-selected capsules are encased in a carefully-crafted enclosure with contours carefully shaped for optimal sonic performance. As a direct result, EDGE is an exquisite large-diaphragm condenser modelling microphone with excellent transient response and capable of multiple polar patterns. VERGE visibly differs as a small-diaphragm condenser (back electret-type) modelling microphone suited to both nuanced accuracy and high SPL (Sound Pressure Level) recording. Also exhibiting excellent performance in its own right, it can capably take on the character and personality of the world’s best small-diaphragm condensers and electrets. Entering the wonderful world of DISCRETE 8’s FPGA Accusonic 3D Modelling Engine enables users to transform both EDGE and VERGE into vintage replicas, realising complete control over proximity effect, off-axis response, and even allowing them to change polar patterns during or after recording! Try choosing from a collection of classic, costly microphones, then track the results while monitoring live to bring out the best possible performance from musicians. Bought bundled together, Antelope Audio’s all-new DISCRETE 8 Thunderbolt™ & USB Interface with 8 Discrete Mic Preamps plus accompanying EDGE and VERGE modelling microphones make for a winning team, bringing all-star performance and technology to a new audience. As an example, a DISCRETE 8 working with one EDGE and six VERGE modelling microphones can capably run two chains of FPGA effects inserts and all microphone emulations for one mic. 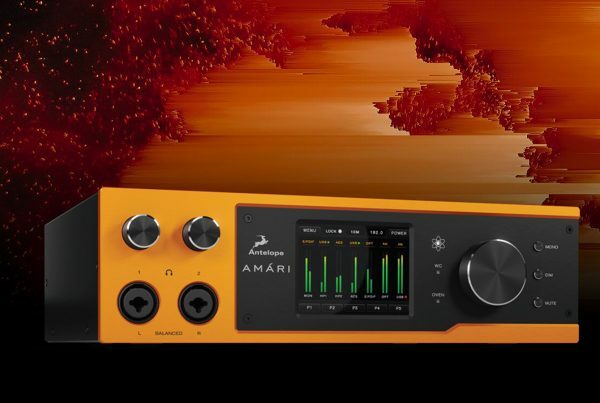 Musically speaking, the realtime FPGA platform offers a complete professional studio experience — microphones, preamps, conversion, compressors, EQs, reverb, and latency-free monitoring, all backed by Antelope Audio’s signature clocking combined into one unified system with instantly-recallable presets. Put it this way: users can even load AFX Presets from VIP Masters with favourite combinations of FPGA effects regularly being pressed into play on award-winning mixes to transform their own productions! Play to win… with Antelope Audio’s all-new DISCRETE 8 Thunderbolt™ & USB Interface with 8 Discrete Mic Preamps plus accompanying EDGE and VERGE modelling microphones, an entire signal path of customisable sonic excellence awaits any adoptee. And if that’s not enough to convince, consider this: DISCRETE 8 can even save and load presets and exchange settings with Antelope Audio’s full lineup of FPGA equipped professional audio interfaces, making it a no-brainer for both new users and existing owners using a second rig for touring or travel by allowing them to leave their current studio setup untouched when on the road or engaging in session work outside their own facility — free to roam, recording whatever and whenever with that winning team of modelling microphones and DISCRETE 8 Thunderbolt™ & USB Interface with 8 Discrete Mic Preamps! For more in-depth info, please visit the dedicated DISCRETE 8 webpage here or DISCRETE 4 webpage here.